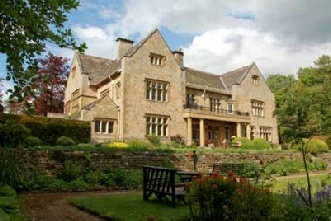 Shepherds Dene is a comfortable Edwardian country house set in 20 acres of grounds. All the bedrooms have wash basins and some are en-suite. There is a lift to the first floor. We usually take the whole house for the weekend so there are no interruptions from others. There are reasonably frequent train and bus services to Riding Mill village. Then it’s a 30 minute uphill walk from the village. Local transport can usually be arranged to pick you up from the station/bus stop. From the A69 Carlisle - Newcastle trunk road, exit south onto the A68 at the large roundabout then after about 1.5miles take the third exit (half right) at the next large roundabout onto the A695 (signed for Riding Mill village). Go through the village, past the Wellington pub and up the hill (watch out for the speed camera). At the end of the village and just over a mile from the A68, take the left fork signposted ‘Shepherds Dene’ and ‘Slaley’. The entrance is just under a mile along this road on the left (just past a road from Corbridge that has a triangular junction).